Louise Fili’s Grafica de les Rambles is the third in her series of photography books documenting the design of street signs in historic European cities – this time in Barcelona. The colourful spreads show everything from metal Art Deco signs and wrought iron to more delicate mosaics, stained glass and carved stone. Photographs of the painted, sculpted or forged signs evoke something of an archiving method, as Fili scrambles to capture these signs of old before they disappear for good. 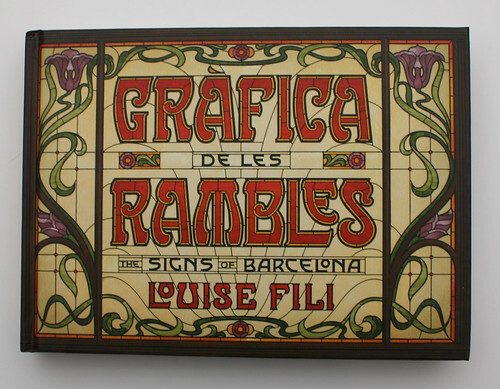 Louise Fili, Grafica de les Rambles, Princeton Architectural Press, £27.99. Spreads from Grafica de les Rambles: The Signs of Barcelona. Louise Fili uses Grafica de les Rambles to preserve the memory and visual history of Art Deco signs like this one for Apolo Drogueria. 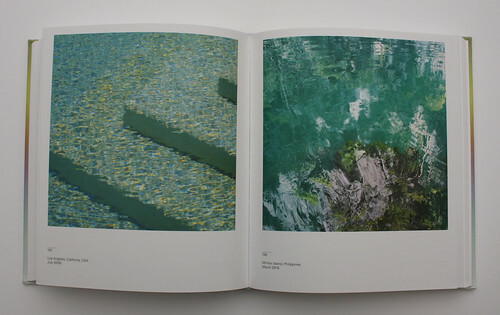 Architect and photographer John Pawson’s Spectrum arranges photos from diverse times and locations by colour to form a gradient that spans the book’s pages. 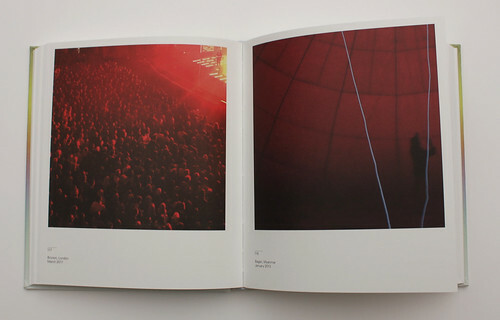 Though they are ordered by colour, the photos can also lie anywhere on a spectrum of abstractness – from a completely clear shot of a crowd at O2 Brixton to a formless mass of colour, plausibly the photographer’s hand in front of the lens. Pawson, citing a fascination with light, writes in the preface that ‘I have come to see that you can only really start to understand an architectural space when you have seen it in a range of light conditions, which means also experiencing the full range of its colour spectrum’. 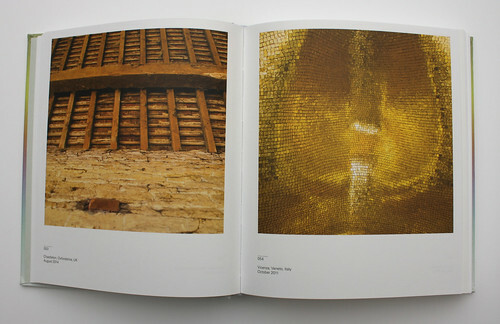 Spread from Spectrum showing scenes from London (left) and Bagan, Myanmar (right). Spread using familiar textures to create abstract forms from scenes in California (left) and the Philippines (right). 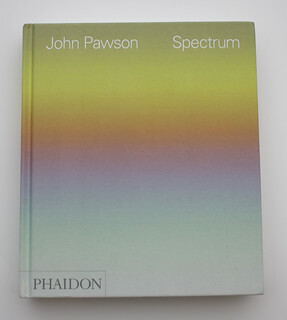 John Pawson, Spectrum, Phaidon, £45. Now You See It and Other Essays on Design is a compilation of essays by American graphic designer and Pentagram partner Michael Beirut. The varied essays include anecdotes of previous jobs and projects as well as meditations on design in all aspects of life, from movies to Motown. It is full of self-reflection, too. In a 2012 essay entitled ‘I Love the ’80s’, he writes: ‘All those little discoveries I made, superimposing just the right orange on just the right teal, getting a curve exactly right, making something look perfect: those moments were thrilling for a young designer.’ Many of them were originally published in the 2000s on the Design Observer website, co-founded by Bierut with Rick Poynor, Jessica Helfand and William Drenttel. The timeline and subject matter comes together to form a singular voice that speaks from years of experience in graphic design. 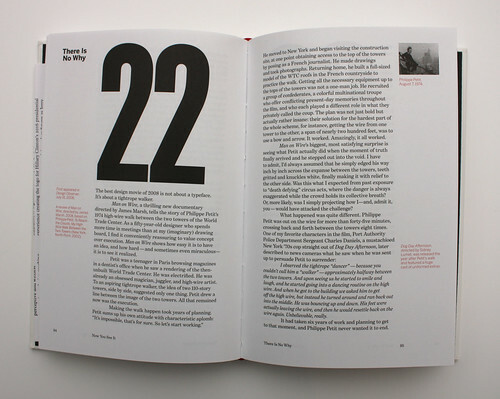 Spread showing the bulk of an essay by Bierut about the 2008 movie Man on Wire and its connections to design. 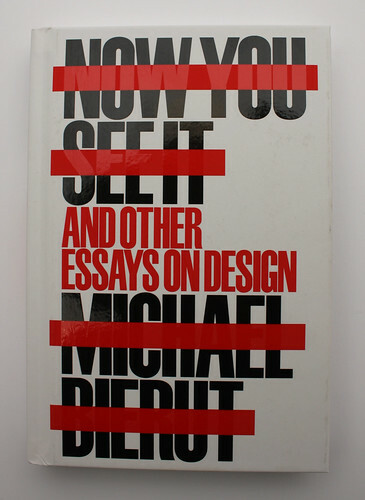 Michael Bierut, Now You See It and Other Essays on Design, Princeton Architectural Press, £25. 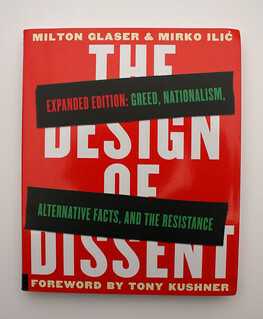 The expanded edition of the Design of Dissent: Greed, Nationalism, Alternative Facts and the Resistance (originally oublished in 2005) comes in response to current state of global affairs, as Milton Glaser and Mirko Ilić worded it in a note to the reader, to ‘collectively demonstrate the passion and conviction of those who recognize what is happening around the globe’. Expanded to include over 40 extra pages of content including a ‘Since 2005’ chapter, this new edition includes designs from the Occupy movement as well as the Obama and Trump eras. 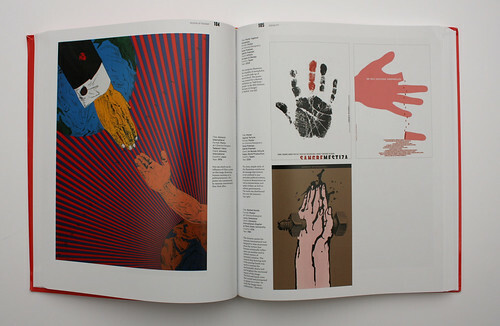 Read a review of the first edition in Eye 57: ‘A grasp of political design’. Spread showing posters that tackle issues such as the torture of political prisoners and xenophobia. Left: Tadanori Yokoo for Amnesty International, 1976. Right: posters by Sonia and Gabriel Freeman (2002) and Lanny Sommese (1981). 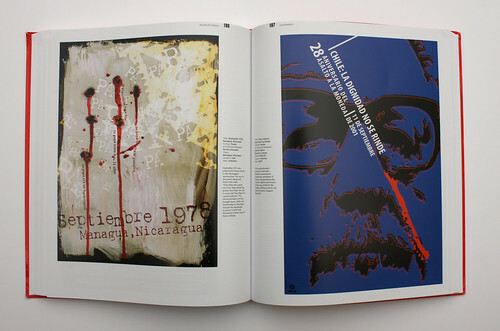 Spread showing political posters from Nicaragua designed by Fermin Gonzalez (left) and Chile designed by Andrés Mario Ramírez Cuevas for client PRD-DF (right) from a chapter in Design of Dissent dedicated to ‘Government’. 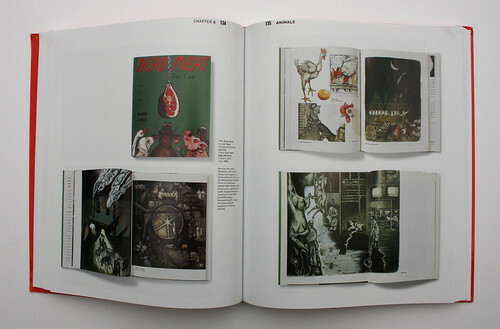 Pages showing spreads from illustrator Sue Coe’s book Dead Meat in the ‘Animals’ chapter. See Andrzej Klimowski’s review of Sue Coe’s The Animals’ Vegan Manifesto in Eye 94. 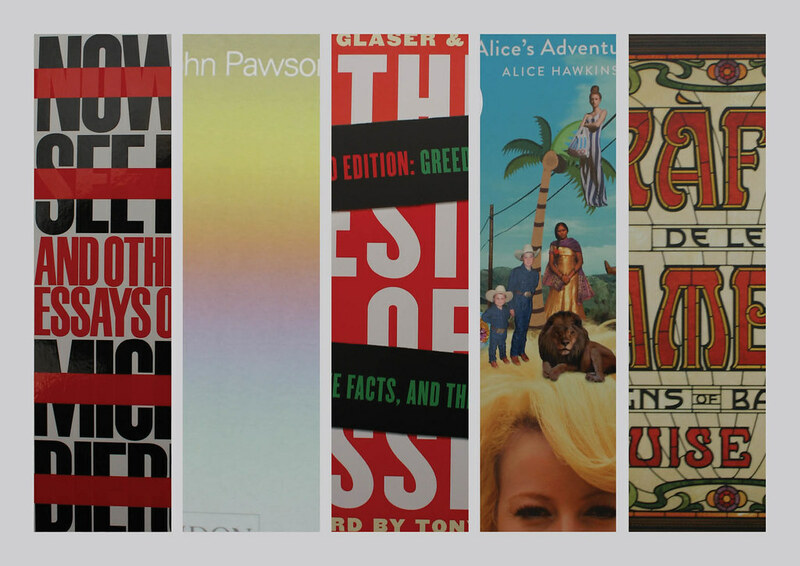 Milton Glaser and Mirko Ilić, The Design of Dissent, Extended Edition: Greed, Nationalism, Alternative Facts and the Resistance, Rockport Publishers, £16.99. Alice’s Adventures documents the travels of fashion photographer Alice Hawkins as she journeys around the world with suitcases full of clothes, finding her models along the way in the streets and countrysides of Cuba, India, Texas and countless other places. Of course, she photographs style icons as well: models. celebrities and royalty. What is unique about this book is the presence of the photographer; in her personal Polaroids (which often precede the final photos); in personal anecdotes from Hawkins as well as friends such as graphic designer Frith Kerr and photographer Nick Knight; and her cartoon likeness, which can be found throughout the book. 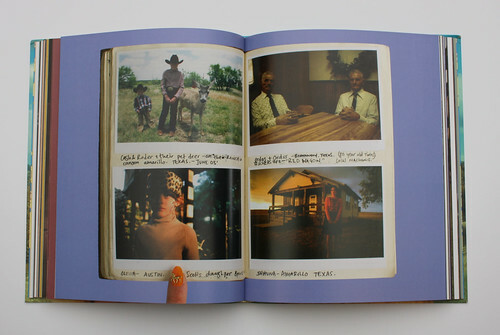 Spread from Alice’s Adventures showing the photographer’s personal images and notes. 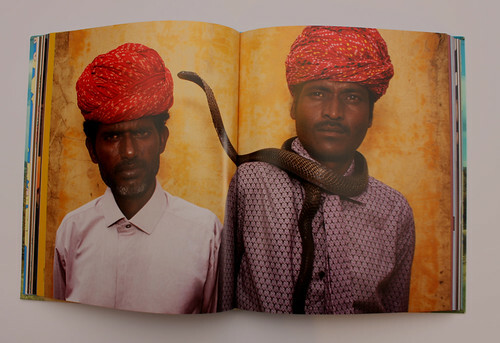 Spread from the ‘India’ chapter of Alice’s Adventures. Spread showing Hawkins’ travels in Texas, US. 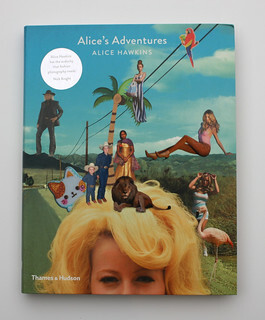 Alice Hawkins, Alice’s Adventures, Thames & Hudson, £19.95.